This is a really great book about Vasa. It tells the story of the ship, but also gives the historical context of the time she was made. Its very well written and manages to be easy to read while not at all simplified. I have only read the english version, there is a swedish version also. The aesthetics of the book is a joy; the images are very nice, some are the ones I have most use of when building my model. It contains loads of relevant images that gives depht and background and makes the Vasa story even more interesting and gives life to the old world it describes. 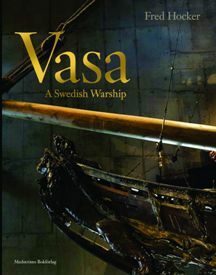 A great all round Vasa book that is good both for learning about Vasa and also for reference. And thank you Fred. I second Matti's comments. This book is a joy to read and reference. I am presently reading this book, and couldn't agree more with Matti.